Hello my dear fans and collectors! I know, you have been waiting patiently for the news from me and I am enormously grateful for that! It took me a long while to sort everything, but finally, here I am with the big news! As some of you may know already, since the beginning of this year I was making a prototype for a resin doll. Why have I decided to cast my doll in resin? First of all, because it will save me a lot of time from sculpting each doll and there for it will allow me to charge less. 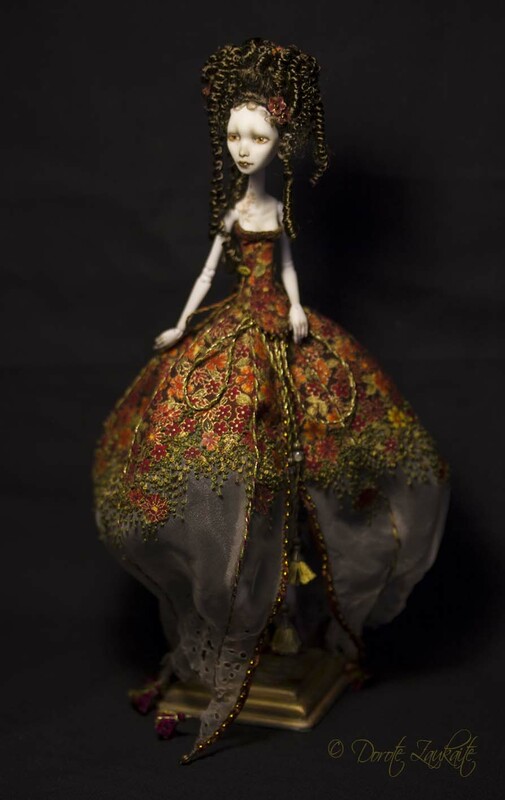 I am still going to dress up these resin dolls in unique costumes and create different characters for everyone who wishes to have their special doll made by me. The resin dolls that I am presenting today are called Tiny Tender Demons (TTD). They are 21 cm tall and can easily be placed in your palm. They feel very natural while handling, almost alive and can pose in many different ways. Little ones have tiny mini horns on their forehead, their body has 20 points of articulation and they are coming with demonic heel shoes also created by me. They have magnets in their heads to hold the wigs, and 5mm hand made eyes. Because Demons in antique mythology were caring and joyful creatures inspiring and guiding people. Sadly, when christianity came to power, all ancient gods and spirits were condemned; from people’s homes, green forests and blooming gardens they were sent to the underground fires of hell, all and each of them were evilized no matter what role they have played before. Maybe this is why my Tender Tiny Demons looks so thoughtful and sometimes sad. The fully customized TTD will come together with these awesome hand painted and lined with fabrics wooden boxes. I am also going to mak e special stands for them which may be painted plane color, or decorated with glass mosaic and ageing effects. Yes I know that some of you would like to buy a non customized doll and to paint it yourself. I am keeping it in my mind and making plans to sell some “ready to custom” TTD’s too, but that is for later. Meanwhile enjoy the gallery of new dolls, and do not forget to check the “Available” section. If you still haven’t subscribed for this site – do not hesitate to do so. My warmest regards to each and everyone of you! I think these new dolls are lovely and would like to buy one are they for sale and when? 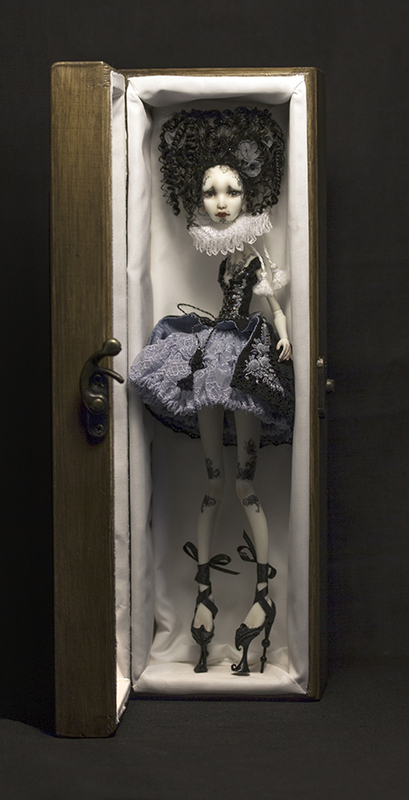 Your work is so amazing, so much fine detail, beautiful, beautiful dolls. 🙂 You are an inspiration to me Dorote. Your doll look very interesting. Love the back story–and the delicacy. Would like to find out more, please.